Crystal Palace and England Under-18s full-back Mandela Egbo has signed for German Bundesliga side Borussia Monchengladbach on a four-year deal. 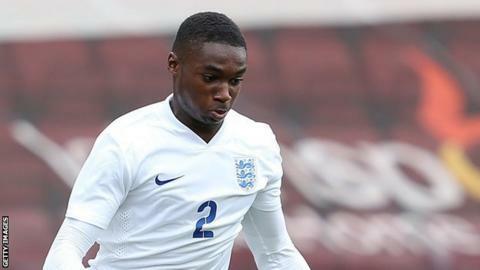 The 17-year-old has played 18 times for England at different youth levels and was part of the squad that won the European Under-17 Championship in 2014. Egbo will play with the German club's under-23 squad next season. "Mandela has huge potential," Monchengladbach's sporting director Max Eberl told the club website. "Now he has the possibility to rise up through the ranks of the under-23 squad and make it into the first team. "We are very happy that he has decided to play for us."